We have marked a distinct position in the market by providing Jacquard Cushion Covers. Highly appreciated in the market due to their beautiful designs, attractive colors, premium finish, tear resistance and perfect stitching, we offer these covers in different shapes, colors, sizes and designs. These are crafted from fine grade fabrics, such as soft viscose. 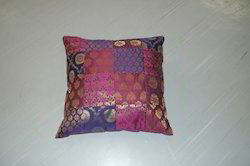 We present the finest quality Jacquard Cushion Covers for the clients. Our Jacquard Cushion Covers are high on demand in the market for their unique designs and patterns. 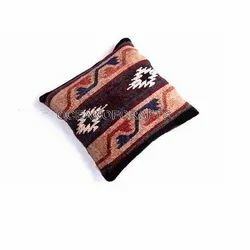 Plain And Printed Cushion Cover, Size: 14" X 14" And 16" X 16"
Size: 12" x 12", 14" x 14", 16" x 16", 18" x 18"
We are offering Cushion Cover to our clients.